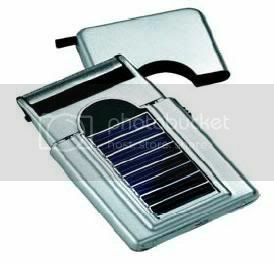 We have seen many solar powered gadgets recently. Some of them were; media players, PSP batteries,Â BluetoothÂ headset, Christmas lights. Now it’s a solar powered razor. The razor is really compact in size measuring 10 x 5.5 x 1.5cm. To use this thing all you need to do is just leave in sunlight for charging. Unfortunately the seller hasn’t mentioned anything about the time required to charge the razor. Once it’s charged you can use it anytime and anywhere you like. It’s really useful especially while you are travelling. If you liked this razor, then you can get one from Ecotopia for around $70.